What Is Up With Google Maps? 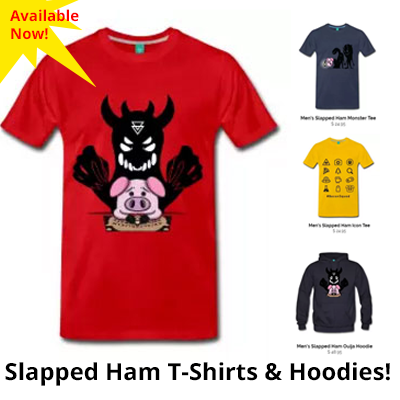 If you do not want to see anymore strange things on the internet, why not check out https://chrome.google.com/webstore/detail/adblocker-by-trustnav/dgbldpiollgaehnlegmfhioconikkjjh to get rid of unnecessary or irrelevant popup ads or banners. 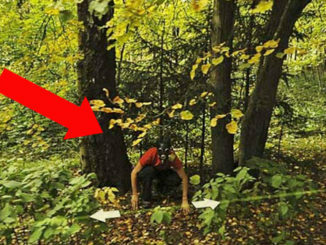 But for now, from a tiger photographed in a parking lot to a car parked on the side of a building, we count the 15 strangest things ever seen on Google Maps. 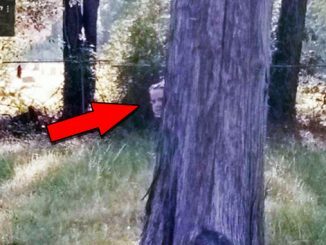 The Google Street View cameras captured more than they bargained for when they were photographing an area along County Highway 365 in Tennessee, USA. 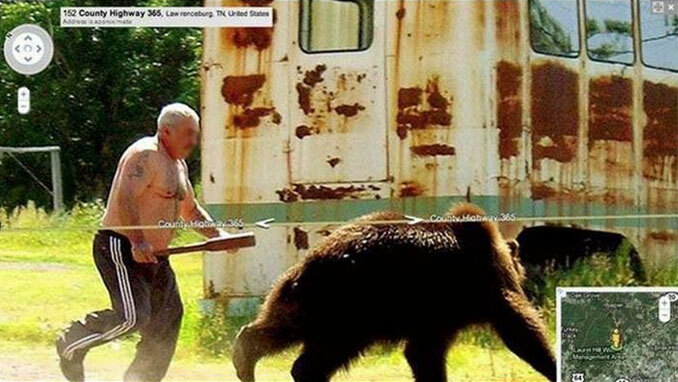 A shirtless man wielding what looks like the leg of a kitchen table, chasing a bear away from his prized possession – a rusted out bus. 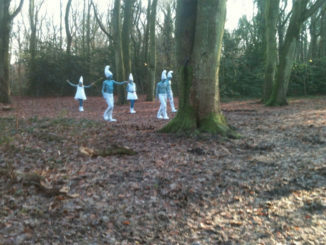 Just a typical Tuesday morning round these parts I guess? 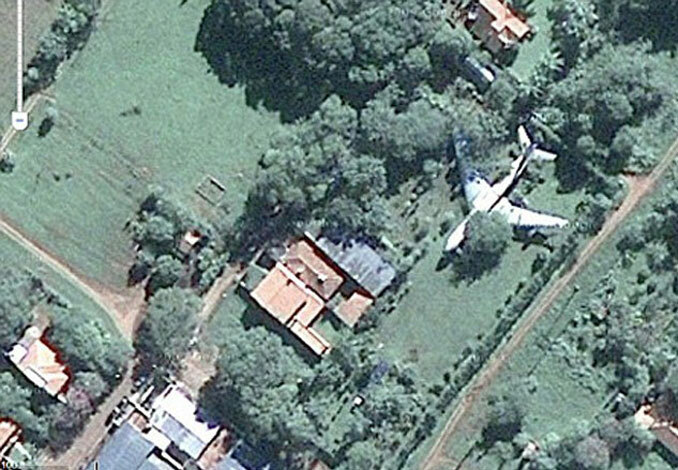 User MaxMaxSvx of an unnamed messageboard claims to have found a plane in someone’s backyard in Paraguay on Google Earth. It’s not a little plane either, it looks like a proper passenger jet. Could it be the prized possession of a cashed up drug baron? What do you think? If there is anyone who can identify the type of plane seen in this photo, let us know in the comments section. We’d love to know what it is! 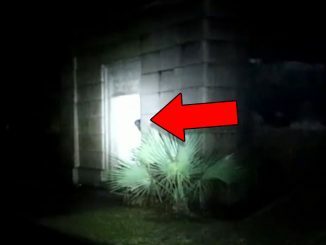 When website Jalopnik wrote a fictional news story about an elusive cat with only two legs that cryptozoologists had been hunting for years, the internet quickly ate it up. 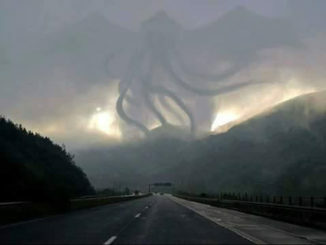 This photo surfaced and was supposedly captured on Google Street View. 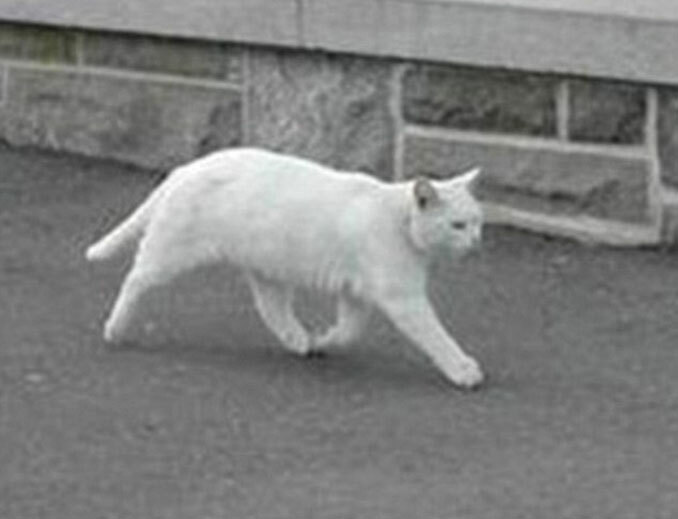 As cool as the idea of a bipedal, snow white cat is, turns out it was all a hoax. Just a clever photoshop job by someone on Imgur. 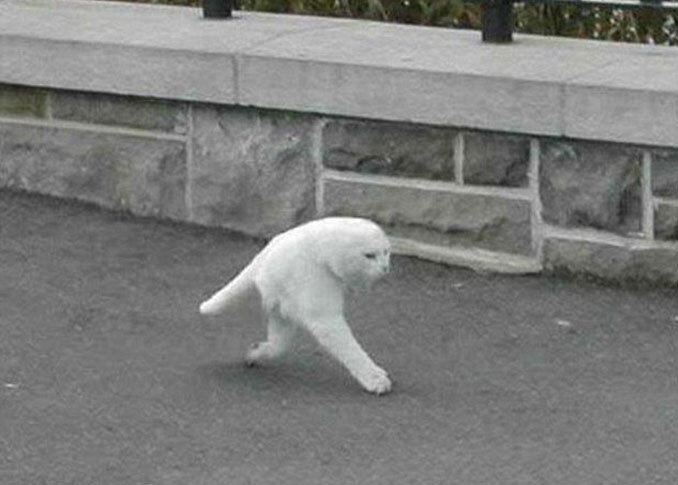 The real cat’s name is Thumbelina and, as you can see by the photo below has all 4 legs. She lives with her owner in Ottawa, Canada. 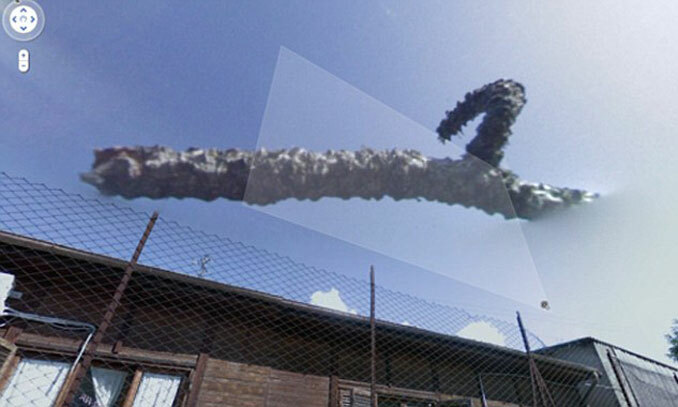 This unexplainable cloud formation captured on Google Maps over a small town in Italy is very strange indeed. 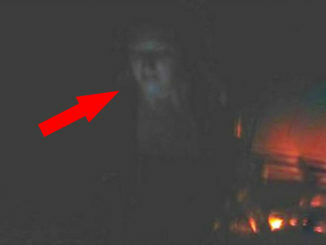 Whatever the phenomena was, it was unlikely a camera error as it was seen from several other angles as well. Could it have been the tail streak of a falling meteorite. A UFO perhaps? What do you think? Let us know in the comments section below. 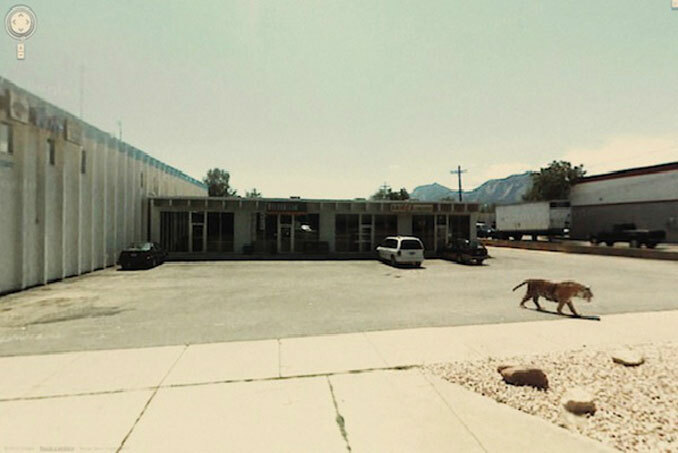 Nothing unusual in this image, just a regular parking lot… wait… is that a tiger? 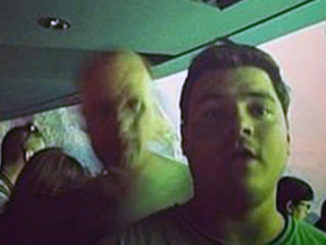 How can anyone possibly explain what is going on in this photo? I hope someone called the local zoo or circus or Mike Tyson or something? He owns a tiger right? 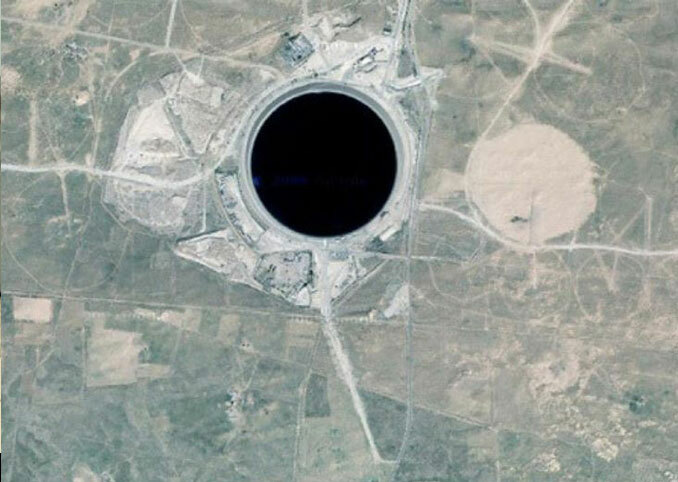 This mysterious hole was reportedly discovered in Libya by someone using Google Earth. 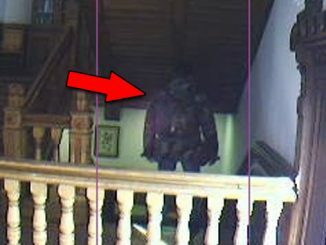 There is actually very little information about its exact location however, leading me to think it might be a hoax. If it is real, it would have to be at least half a mile in diameter, possibly even more. 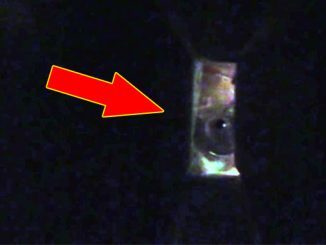 Are we staring into a gigantic bottomless pit? Is it an abandoned mine? Perhaps a gigantic pool of oil? Or is it a blacked out area of a secret military base? What do you think? 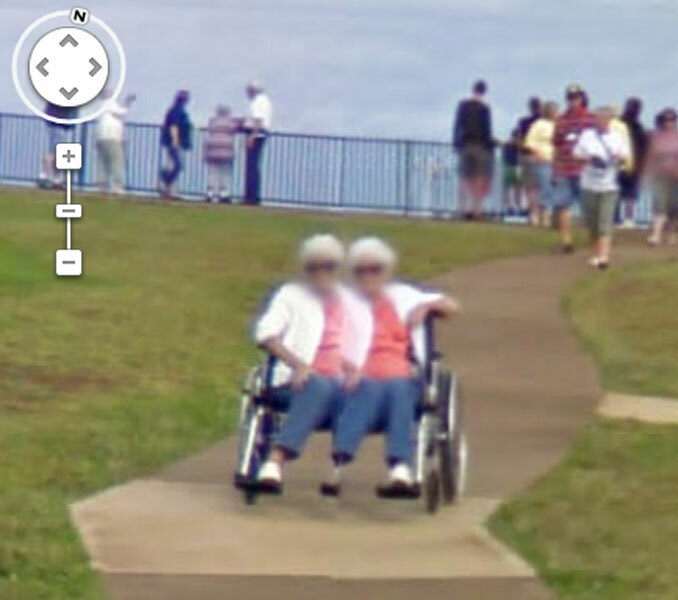 Finally Google has captured photographic evidence of the mysterious two headed, three legged Granny that has been recklessly speeding around town in her oversized, custom wheelchair. More likely an error in the technology that overlaps the images for Street View but it’s still fun to think about though isn’t it? This image from Google Earth shows an aerial view of the seaside town of Whitstable in southeast England. Nestled against the edge of the jetty carpark appears to be a gigantic crab! If this photo is real the crab would have to be the biggest ever discovered. Currently, the largest known species is the Japanese Spider Crab. With its impressive 3.8 metre (12 ft) leg span it still pales in comparison to the monster seen here. Real or fake? 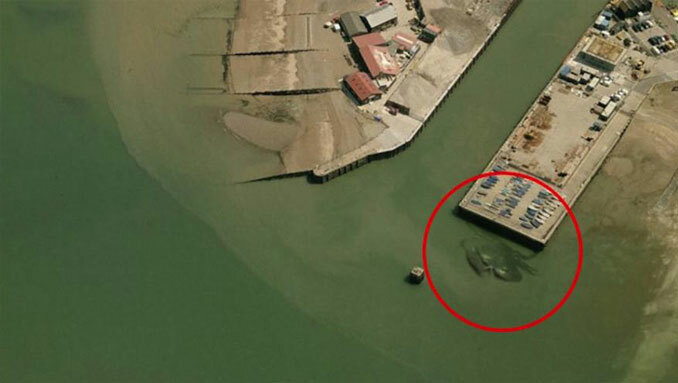 Is this just a clever photoshop job or evidence of a massive sea creature living off the coast of England?